The Life and Times of Susie Knuckles is a heartbreak story told as a nursery rhyme/ a journey towards resilience armed with plenty of snacks/ a girl-meets-boy story with a colorful supporting cast of deceased rappers and complete strangers. 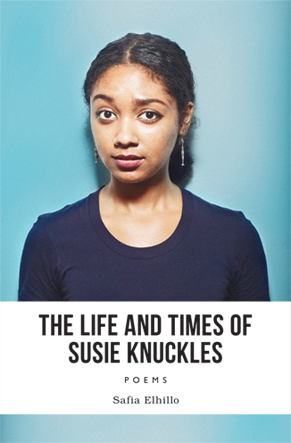 Susie Knuckles, Safia Elhillo’s alter-ego, is strange, unkind, tough, and disarmingly childlike. She interweaves her blunt, sometimes brash voice with the author’s pain, and teaches us to save our own lives even when the heart is broken. 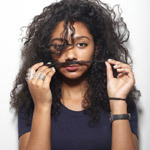 A finalist in the 2011 Women of the World Poetry Slam, Safia has shared the stage with Sonia Sanchez, the late Gil Scott-Heron, and Black Thought and ?uestlove of The Roots.